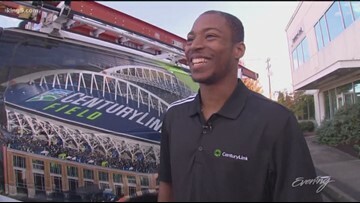 Seahawks wide receiver Tyler Lockett is on a new mission to help you feel better and move easier. 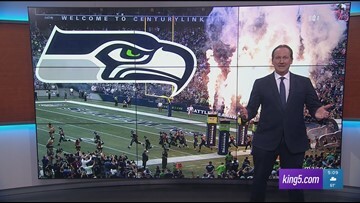 See the Seahawks 2019 schedule and reaction from wide receiver Tyler Lockett. 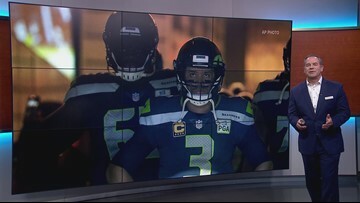 Watch Seahawks star Tyler Lockett perform spoken word and make a book announcement on KING 5's Take 5. 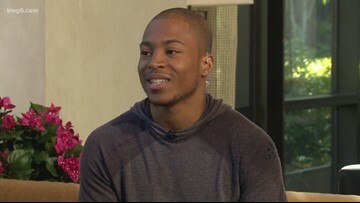 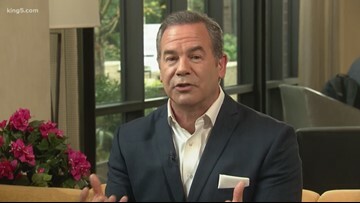 Tyler co-hosted the show on Wednesday, April 17, 2019. 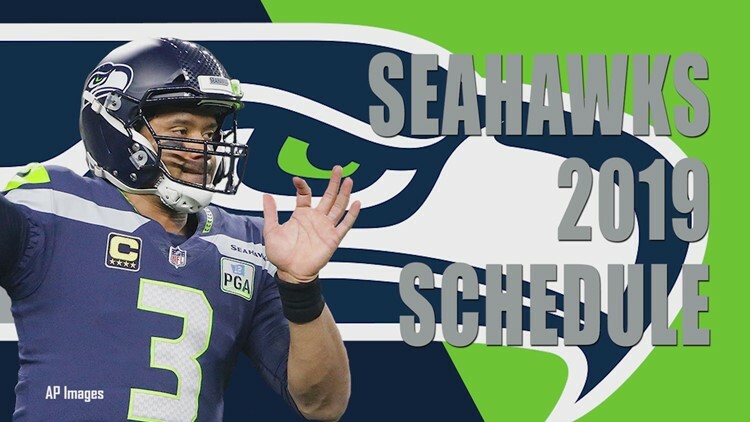 The Seahawks face a Monday, April 15th deadline to get a contract extension done with Russell Wilson. 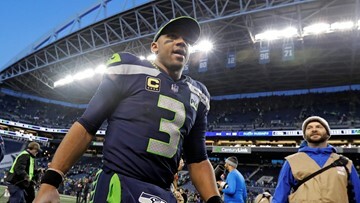 The Seahawks QB wants it done or he's finished negotiating for a new deal. 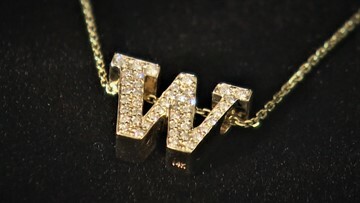 Allison Claire Fine Jewelry also features pieces for Gonzaga and Washington State University faithful. 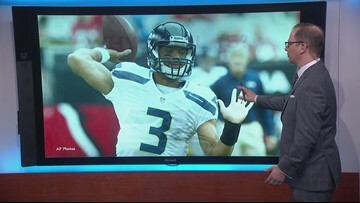 KING 5 Sports Director Paul Silvi dissects Russell Wilson's contract demands. 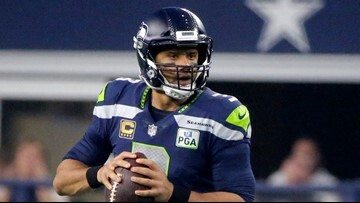 The Seattle QB is giving the Seahawks an April 15 deadline to reach a new deal. 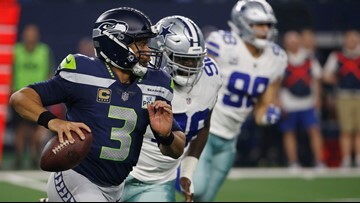 Seattle Seahawks quarterback Russell Wilson says he was shocked after the Cleveland Browns obtained wide receiver Odell Beckham Jr. from the New York Giants. 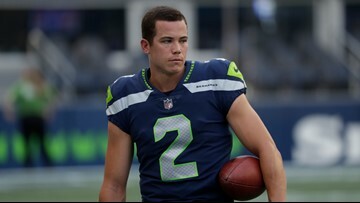 The Seahawks agreed to sign kicker Jason Myers to a four-year deal and are bringing back linebacker Mychal Kendricks on a one-year deal, the Associated Press reports. 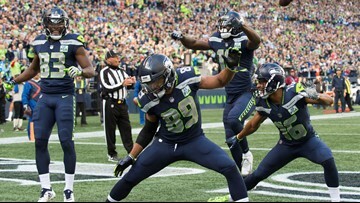 The Seattle Seahawks hope they have found the solution for their recent kicking troubles in Jason Myers and are bringing back linebacker Mychal Kendricks despite his uncertain legal situation. 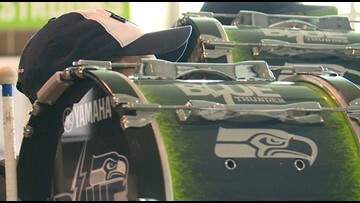 Every year, Blue Thunder - the drumline for the Seattle Seahawks - holds open auditions. 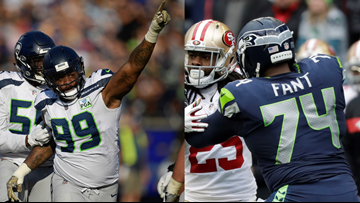 The Seattle Seahawks used their franchise tag Monday on defensive end Frank Clark, keeping the former second-round pick and top pass rusher from hitting the free-agent market. 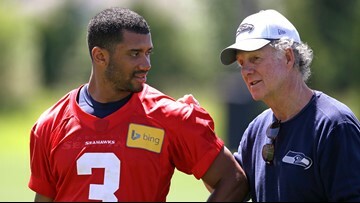 Longtime Seahawks coach Carl Smith heads to Houston. 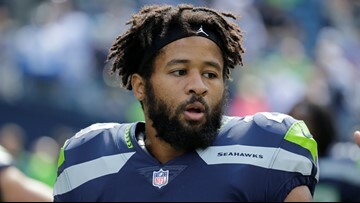 Smith has been in Seattle since 2011. 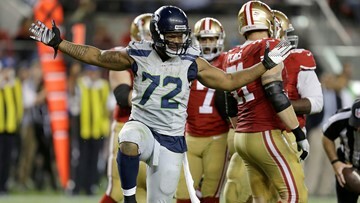 The NFL Honors award show had the Seahawks winning two awards.